The litany of research surrounding CBD oil and its medical capabilities with regards to combating a wide range of ailments has made Cannabidiol one of the most sought-after products in the wellness industry. Whether you’re a stressed person, or you suffer from anxiety or chronic pain, CBD may come in handy. 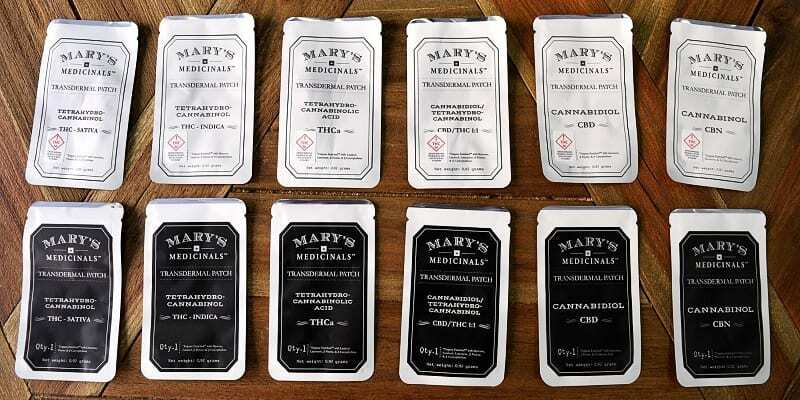 While the majority of CBD companies sell CBD oil as a food supplement, in various forms, Mary’s Medicinals is a brand whose goal is to change the way people consume cannabis products. Mary’s Medicinals offers an impressive array of ointments, lotions, and other skin products so that you can enjoy the benefits of CBD oil by administering it topically. Today, we will review Mary’s Medicinals top-selling products, but before we move to that part, let’s talk about the very brand for a bit. Mary’s Medicinals is a CBD oil company that was established in 2013 in Colorado. It has managed to coin a reputation of a trustworthy CBD seller in a very short period of time, and we believe that the credit for their popularity should go to their unique approach of designing their CBD goods. The company offers a wide range of high-quality CBD laden topical transdermal patches, gels, and a whole array of other products infused with Cannabidiol. These are actually one of the most unique and exciting products of any cannabis brand in the entire industry. Mary’s Medicinals is a winner of many prestigious awards, including “Best New Product” at the 2014 High Cannabis Cup and “Best Medical Advancement “ from The Cannabist. The company produces cannabis products that don’t consist solely of THC and CBD; Mary’s Medicinals produces special formulas that come with THCa, CBC, and CBN. The only drawback, though, is that you must live in one of the states that permit the sales of recreational marijuana to make a purchase. Thus, the residents of Colorado, Arizona, Nevada, Oregon, Washington, and California can sleep safe, because Mary’s Medicinals goods are easily accessible there. Are you curious what makes Mary’s Medicinal stand out from the crowd? We’re happy to fulfill your curiosity. Their CBD range does a great job of alleviating pain or anxiety without getting you ‘high’. The patches, creams, and gels are perfect for those who regularly travel long distances. They act quickly, can last for hours, and are extremely easy to apply. The THC range is ideal for both medical and recreational marijuana users. All their products contain only natural ingredients and are free of artificial additives and harmful chemicals. The company’s delivery service is one-of-a-kind, enabling you to have a product at your door within an hour of placing an order. Okay, enough about the company, let’s move on to Mary’s Medicinals top selling products. Mary’s Medicinals are most known for their range of CBD topicals that are designed to bring both localized and chronic pain relief. Nonetheless, it looks like the brand expands their selection of cannabis goods a bit further, with their CBD/CBN capsules and Green & Protein Powder Mixes. Anyway, let’s start with the classics. These 2×2 transdermal patches are what scored the company their awards for innovations. They are available in 10mg CBD, CBN, THC, CBD:THC (50:50 ratio), or 20mg THC Indica or Sativa. That’s plenty when it comes to cannabis-infused transdermal patches. Although transdermal patches have been around for over 30 years, the cannabis field hasn’t used much of it until recently. As for the patches themselves, they act very quickly, allowing you to experience its benefits within half an hour, although the maximum lasting time of the product is about 6 hours, which is less than the brand claims on its website. To use the patch, simply apply it to any ‘venous part of the skin’. This pocketable pen makes a fine addition to the patches if you need to take care of your pain in a more complex way. Actually, it’s like the patch, except you squeeze out 2mg of one of three cannabinoids. Depending on the condition, you can choose between CBD, CBN, and THC Sativa or Indica. Mary’s Medicinal shows that they are people who live a busy lifestyle and whose work schedule is always full of tasks. These highly bioavailable capsules contain CBD or CBN (depending on the selected option), with no traceable amounts of THC. Given this, they are non-psychoactive and can be used throughout the day to keep your mind sharp as a chef’s knife. In addition, the capsules come in 5mg doses, which makes them a perfect alternative for those who don’t like the taste of CBD oil and don’t want to measure out their oil each time they need to take it. Finally, Mary’s Medicinals CBD/CBN capsules are 100% plant-based, meaning they contain no additives or volatile organic impurities, not to mention they are also vegan-friendly and gluten-free. There are 30 capsules in each bottle, which should be enough for a one-month supply if you need low-to-moderate doses of Cannabidiol daily. Several studies have indicated that CBD can be effective for the post-workout muscle soreness. Actually, Cannabidiol is storming the sports industry, too, with more professional leagues allowing their athletes to use this non-intoxicating cannabinoid. Therefore Mary’s Medicinals Elite CBD Muscle Freeze may prove invaluable for all exercise enthusiasts who aim at improving their regeneration. The combination of Cannabidiol with whole-plant extracts significantly cools inflammation, so whenever you feel you’ve given yourself a hard time at the gym, you can try this product as a more effective alternative to traditional ointments. Mary’s Medicinals Elite CBD Muscle Freeze is available in 1oz. tubs. Yet another product for fitness lovers, those Green & Protein Powder Mixes come in 16oz tubs and contain 160mg of active cannabinoids. If you’re not sure if the protein powder is what you would use on a daily basis, the company offers 1oz samples so that you can have a quick trial. By encapsulating and preserving fresh plant material, the researchers at Mary’s Medicinals have managed to retain the plant’s nutritional value, which causes the active cannabinoids to last longer before breaking down. You can choose between the CBDa or THCa/CBDa options. Like we said, the encapsulated version will get you more nutrients, while the protein powder can serve as an enjoyable post-workout shake. Need a classic CBD oil tincture to make your daily concerns more manageable, or help you stay focused when there are too many thoughts racing in your head. Each bottle contains 500mg of CBD per bottle, with almost 2mg of CBD per drop. As the brand claims, their Remedy oil is one of the most concentrated and pure CBD goods available to the public. The Remedy formula includes a hemp-derived CBD extract suspended in Sweet Almond Oil and with a light hint of cinnamon. To use the tincture, simply put a few drops beneath your tongue and hold for several seconds before swallowing. If there’s something predictable about Mary’s Medicinal is that the brand will always follow brand new trends in the cannabis industry. As such, they have brought together two variations of their 100% natural, PG & pesticide-free pods. The combination of one of the best vape pens on the market with organic distillates produces high-quality vapor, resulting in the ultimate vapor experience. But most importantly, Mary’s Medicinal Pods for Pax Era are designed and manufactured to prevent leaking and clogging, a phenomenon that was popular among CBD consumers who were using unofficial pods for the all-famous JUUL system. You can buy the pods in leading dispensaries across Colorado. The family of Mary’s products has recently welcomed a humble selection of vape kits for all people who like to vaporize their cannabis goodies. The best part about this range is that it includes a unique 1:1 CBN:CBD blend distillate. Although the extraction process of CBN oil is demanding and time-consuming, the brand believes in the widely reported benefits of this cannabinoid. This non-intoxicating vape kit comes with 500mg Pyrex glass cartridges that contain only cannabinoids and terpenes, making it perfect for people who seek relief from anxiety, muscle spasms, and sleep disorders. Alternatively, you can choose the CBD:THC (3:1 ratio) Vape Pen, which is a testament to the brand’s values. This additive-free vape pen offers the mix of cannabidiol and tetrahydrocannabinol, both of which are known to function as yin and yang. The researchers at Mary’s have incorporated an all-natural terpene blend, which contributes to the pleasant flavor, as well as to the entourage effect. When it comes to the health benefits of Mary’s Medicinals products, they do what Cannabidiol does best – relieve stress, pain, anxiety, and inflammation. While it is difficult – and counterproductive – to compare the effectiveness of transdermal products with ingested CBD goods, we have to agree with other satisfied customers that their patches and creams are perfect for long journeys, acting quickly and bringing long-term relief. What makes Mary’s Medicinals stand out from the rest of CBD oil brands is that their products are claimed to provide an ‘effective dosing’ that is 10 times better than anything on the market. This claim is backed by the fact that the brand’s transdermal products don’t have to be metabolized by the liver and broken down by stomach acid. Instead, the active compounds contained in the patches are delivered right to the bloodstream as soon as they get absorbed into the skin. As for the other products manufactured by Mary’s Medicinals, they certainly meet the gold industry standards. Both tinctures, pods, and vape pens are made with great attention to details, containing only organic compounds and thus producing decent effects. As far as we’re concerned, Mary’s Medicinal is one of our favorite cannabis brands. What do Clients Say About Mary’s Medicinals? Where to Buy the Mary’s Medicinals Range? Keep in mind that the above list applies to the company’s full range of products. For the selection of their Elite CBD goods, there are no location restraints. The staff suggests that you call ahead to check if a specific product is available before a purchase. Alternatively, you can ask one of the company’s managers to order it for you. Oh Mary, sweet Mary! While we are not completely sure that their transdermal products are up to 10 times more effective than other forms of application, we have no doubts that the company offers a wide range of high-end CBD and THC products to help relieve anxiety, stress, pain, inflammation, and much more. One slight downside is that you can’t order their goods online. For a brand of such a caliber, it’s a bit odd that they limit themselves to stationary outlets. On the other hand, we fully understand that Mary’s Medicinals is a company that wants to be seen as a unique cannabis seller, so maybe – just maybe, this is only our theory – it’s part of their branding strategy. Who knows? Anyway, if you want to try top-notch cannabis products that you could incorporate into your already healthy lifestyle, putting your trust in Mary’s Medicinals is a reasonable choice.